Adobe partnered with Lee Hirsch, the director of the documentary “Bully” to produce a work to help spread the word about the movement. The Bully Mural is a project in which 16 selected artists from around the globe worked independently to create one unified piece of art. The full mural was shown at Adobe MAX in Los Angeles, October 2014. While bullying remains a source of painful memories for most, my approach latched onto the positive impact that the documentary created upon its release. My response is based on this movement of acceptance and embraces celebrating our differences. 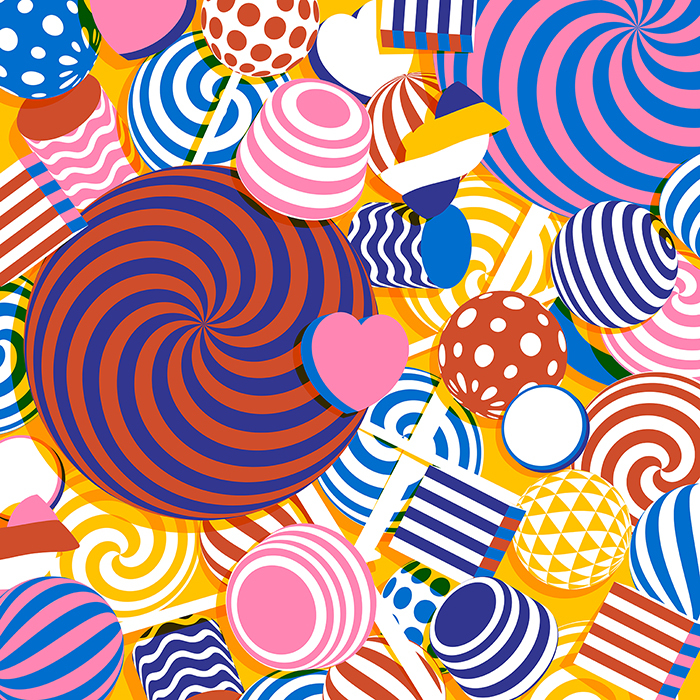 The idea was to use differing patterns and colours on confectionary, an inseparable part of childhood, as the visual metaphor.